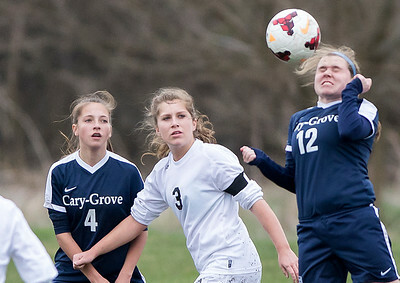 Sarah Nader - snader@shawmedia.com Cary-Grove's Stephanie Scrima (left) and Prairie Ridge's Hannah Stovall chase after the ball during the second half of Tuesday's match at Prairie Ridge High School April 11, 2017. Prairie Ridge won, 3-2. Sarah Nader - snader@shawmedia.com Cary-Grove's Mollie Immens (left) tries to take the ball from Prairie Ridge's Sarah Ripple during the first half of Tuesday's match at Prairie Ridge High School April 11, 2017. Prairie Ridge won, 3-2. 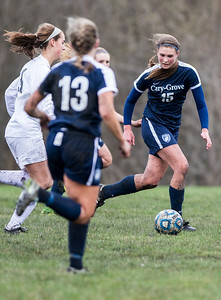 Sarah Nader - snader@shawmedia.com Cary-Grove's Maddie Jannusch passes the ball during the first half of Tuesday's match against Prairie Ridge High School April 11, 2017. Prairie Ridge won, 3-2. 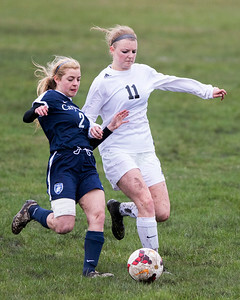 Sarah Nader - snader@shawmedia.com Cary-Grove's Isabelle Robinson (left) runs after Prairie Ridge's Josie Eriksen during the first half of Tuesday's match at Prairie Ridge High School April 11, 2017. Prairie Ridge won, 3-2. 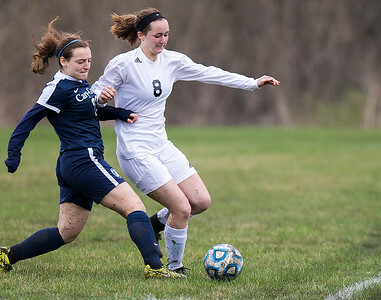 Sarah Nader - snader@shawmedia.com Cary-Grove's Natalie Gallant heads the ball during the first half of Tuesday's match against Prairie Ridge High School April 11, 2017. Prairie Ridge won, 3-2. 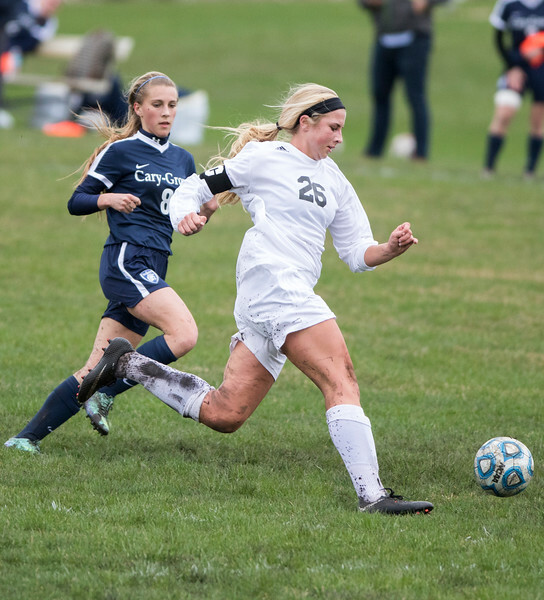 Sarah Nader - snader@shawmedia.com Cary-Grove's Natalie Gallant (left) Prairie Ridge's Sarah Ripple runs after the ball during the first half of Tuesday's match at Prairie Ridge High School April 11, 2017. Prairie Ridge won, 3-2. 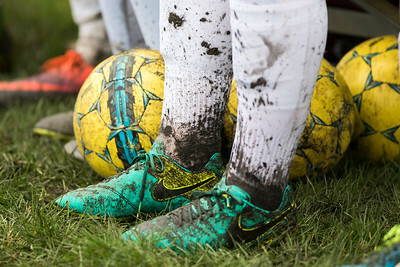 Sarah Nader - snader@shawmedia.com Prairie Ridge girls soccer player are covered in mud during Tuesday's soccer match against Cary-Grove at Prairie Ridge High School April 11, 2017. 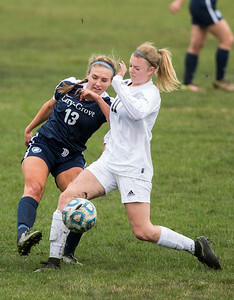 Cary-Grove's Isabelle Robinson (left) runs after Prairie Ridge's Josie Eriksen during the first half of Tuesday's match at Prairie Ridge High School April 11, 2017. Prairie Ridge won, 3-2.